Last week, I introduced what I’m calling the Golden Age of Board Games. As I explained in that post, there are many more and a wider variety of board games coming out every recent year than the world has ever seen. In a century that seems to bring more bad news than good, this is a bright spot many of us can cling to. Yet, with such a new and bountiful world to explore and play in, we’d be remiss if we jumped right in without giving this fairly new activity more thought. As a Christian, I have thought a lot about how the board games I play — and the way I play them — affects me, my relationships with others, including God. But I haven’t discussed these thoughts as frequently with others. 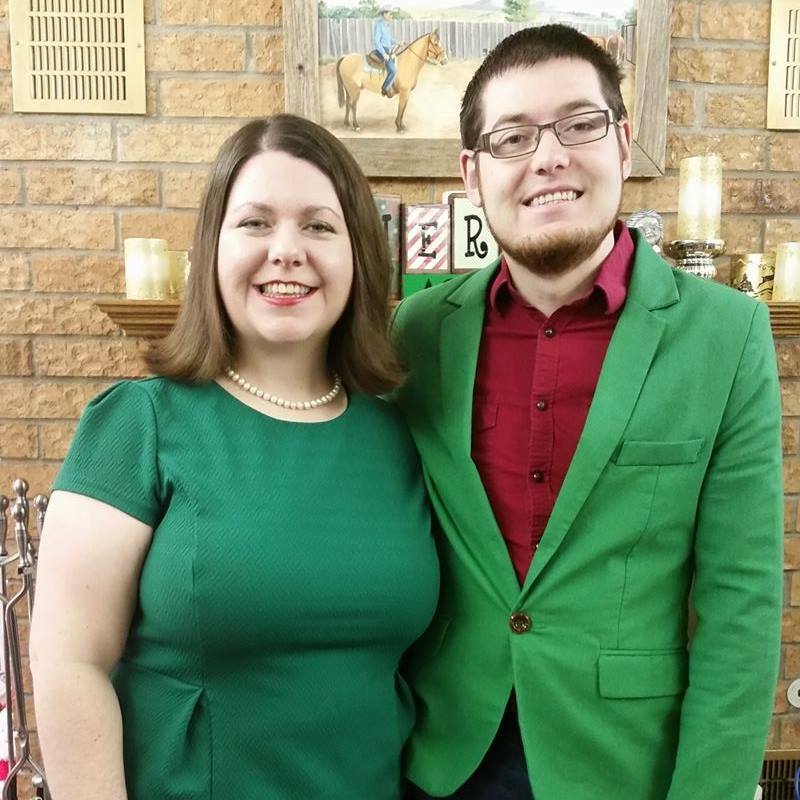 To write this post, I reached out to a couple Christian friends of mine who are also very much into board gaming, Joel and Ashlee. We met through the Graduate Christian Fellowship while Ashlee was a postdoc at MIT; she’s now a professor of Chemical Engineering at Oklahoma State University. Board games played a key role in their relationship, too, and they have extensive experience teaching others about board games in each place they’ve lived. People in the 21st Century are lonely. As our century began, Robert Putnam published his depressing book, Bowling Alone, about the decline of social capital in America. From civic organizations to religious groups to Boy Scouts to volunteering to, yes, bowling, Putnam argues that the individualization of our leisure time, driven by technology, had isolated us socially. While I was writing this, I saw a friend’s recent post on Facebook: “if you feel lonely raise your hand”. No surprise, then that board games are taking hold in this socially fractured environment. People are yearning for human connection, and board games provide that in a much stronger way than Facebook games, Words With Friends, or video games can. Growing up, Ashlee first noticed how board games could help her family bond intergenerationally, far more than watching TV together could. I couldn’t agree more; it’s depressing to me how much a large flat-screen TV can come to dominate living rooms and reduce social interaction to staring at the same thing together. This can be especially valuable in a transient culture like Boston, where people are eager to meet new friends but struggle to find opportunities to do so. When they moved here for Ashlee’s postdoc, board games provided occasions for Joel to meet new people without having to constantly bring up his ongoing job search. In an environment where our work so often defines who we are, he appreciated the opportunity to just bond with people over the game before opening up more later. Christians also care a lot about community — it’s one of the core values of my church, for instance. I think this is the primary reason that Christians seem to be disproportionately represented among board game players. Last week, I mentioned The Dice Tower, a board game podcast and website focused on spreading the good news of board games far and wide. Well, the founder of the Dice Tower, Tom Vasel, is a former Baptist pastor and missionary to Korea. Joel and Ashlee also mentioned that the Meetup group they joined in Boston was led by a single Christian guy who tried to get to know the regular attendees on a personal level. On top of the desire for community, board games also offer to Christians a respite from many of the most obviously sinful elements of modern culture: the sensuality and violence of TV, movies, and video games. As Ashlee pointed out to me, it also offers a respite from one of the most common sinful elements of Christian culture: food, or more particularly, gluttony. Finally, their in-person social nature can make it difficult to get as addicted. All of these components can make board games an especially attractive option for churches, youth groups, and Christian fellowships to bond over. And yet, the relationship between Christians and board games was not always so rosy. Suspicions of the occult, paired at the time with a moral panic against allegedly widespread Satanic ritual abuse, taught Christians to be wary of Dungeons & Dragons in the ’80s and ’90s. Growing up, I remember my parents discouraging me from playing Magic: the Gathering over somewhat similar concerns around its theme. Fortunately, I wasn’t particularly tempted to get into it, pretty happy with focusing on my Pokemon card collection (that is, until our computer crashed and my meticulously maintained spreadsheet was lost). Today, the most controversial game in Christian circles is the party game Cards Against Humanity. The “dirty” version of similar card-pairing games like Apples to Apples, the fun of CAH comes in creating really offensive combinations of cards. While I know some who enjoy it, far more Christians are just plain offended and don’t really find that appealing. Clever combination? Yes. Offensive? Also yes. When it comes to involvement in culture, Christians broadly speaking have three options, helpfully alliterated: receive, reject, or redeem. Some parts are morally neutral or positive (morally nonnegative?) and can be simply accepted as-is. Some should rightfully be rejected as counterproductive to Christian goals of sanctification. And some might have been originally intended for evil but can be transformed for positive purposes. Most board games, I would argue, can simply be accepted. Many Christians would simply reject games like Cards Against Humanity that explicitly encourage people to try to be offensive. But not all. A couple Christian scholars decided to turn the concept of CAH into a teaching moment. 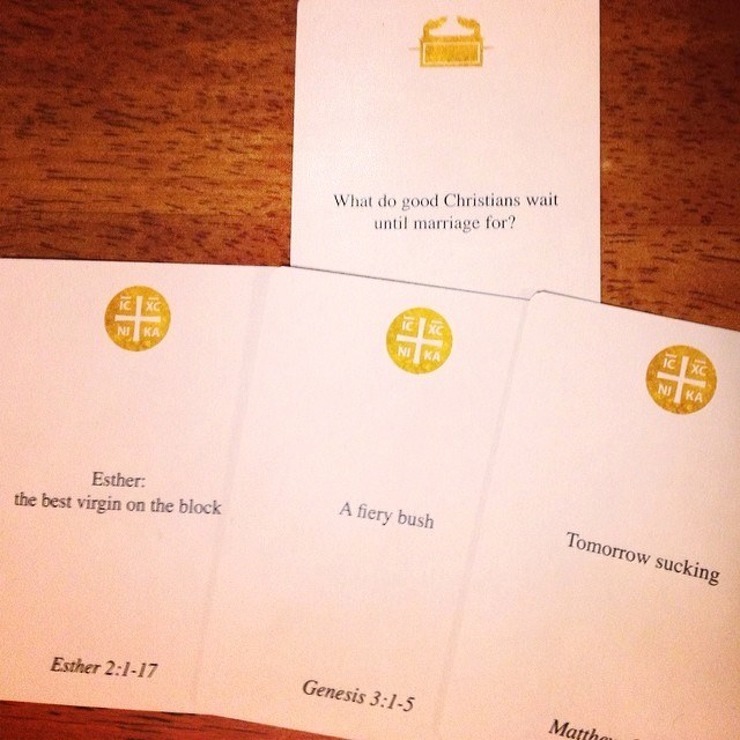 They made a new version of the game with only cards describing events and stories that actually occur in the Bible, provocatively calling their invention “A Game for Good Christians.” But rather than “churchifying” the game, their game actually forces players to confront some of the most confusing or uncomfortable passages in the Bible, like the concubine of Judges 19 who is cut up into pieces which are sent around the country, or Ezekiel being commanded by God to eat bread baked over his own dung (Ezekiel 4:12). Like Cards Against Humanity, players try to match the “Creed card” with a chosen “Canon card” from their hand. All of the canon cards include biblical references, which we often look up mid-game. Left by itself, A Game for Good Christians would seem to be mocking the Bible (and there are those who play it that way). But the creators’ intent is that believers wrestle with these uncomfortable Scriptures and dig deeper into why those stories are presented that way in the Bible. To aid in this process, they publish “card talks” explaining what they believe the deeper meaning of these texts are. If you’re curious, here are the ones on Judges 19 and Ezekiel bread. Probably the most controversial thing I’ll say in this post is that I largely agree with their vision. Far from the neutered “Sunday school” caricature, the writers of the Bible sometimes seek to offend in order to get their point across. In the midst of the very public crossfire between a politically correct culture that idolizes inoffensiveness and a politically incorrect counterculture that idolizes offensiveness (see Yiannopoulos, Milo), the implicit message of AGFGC is in some ways the proper response. Despite the “family-friendly” nature of most Christian culture, offensiveness qua offensiveness is not necessarily morally evil; we should instead judge by the underlying message that the offender is making. Moreover, I find that too often we can simply skip over the parts of the Bible that we don’t like or understand, even missing major themes of the Bible, sometimes thinking that we’ll doubt less if we’re not as frequently reminded of those parts. Instead — and this is a broader theme I’ll be exploring through this blog — by actively struggling with our doubts about the toughest parts of our faith, I find we often emerge all the stronger. Instead of merely accepting teaching that sounds reasonable to our ears (and often ignoring its most difficult implications), we understand on a deeper level what it means to follow Jesus. To be honest, when I started writing this post, I wasn’t expecting to include four paragraphs about one particular game that I haven’t played in months. This game is a lightning rod, though, so perhaps it isn’t surprising. 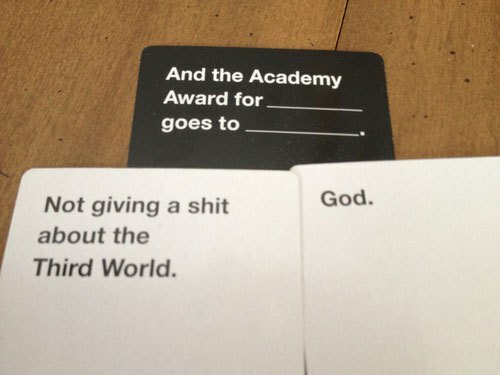 In practice, while we actually own both Cards Against Humanity and A Game for Good Christians, we usually only bring them out on special occasions with particular crowds where we think they’ll go well. For what it’s worth, some people in every Christian group I’ve played AGFGC with have found some level of appreciation for the game, while some have decided it wasn’t for them. Bringing the discussion back to board games in general, some of our favorite games I mentioned in the last post, like One Night Werewolf or The Resistance, require or at least encourage some characters to lie. This is the entire point of this mafia family of social deduction games: To figure out who’s lying, or, conversely, to try to lie and get away with it. But doesn’t the Ten Commandments explicitly forbid lying and deception? I posed this question to Joel and Ashlee, and they explained that if it’s part of the rules of the game, then they’re okay with it. In some sense, this is like play-acting; the werewolf/spy characters are really just a part in a drama for people to try to play, with an understanding that this shouldn’t bleed over into lying in real life any more than a battle scene should make opposing actors into actual enemies. And they reminded me that while Werewolf could help us get better at telling convincing lies, it also helps us recognize lying in others, a skill which can make the community ultimately more truthful. 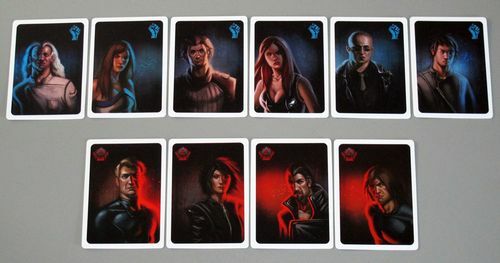 The role cards in resistance: blue is the resistance; red are spies. Role cards can help to hammer in the play-acting component of social deduction games. Grace and I maintain a distinction between in-game behavior and out-of-game behavior in other ways, too. We actually sometimes find it trickiest to play cooperative games together; our high expectations for each other can lead us to be disappointed if the other doesn’t follow through on what we expect. One group of Graduate Christian Fellowship friends actually refuses to play the game Hanabi with both of us at the same time because of our tendency to fight over who made a mistake, even in games we “win.” I still maintain that our disagreements and self-criticism are merely a way of hammering out our conventions more firmly in our minds, but it tends to make the game unpleasant for others. (The nature of information-revelation in Hanabi can compound this problem — you can’t really discuss these mistakes mid-game, since there is information that would be given away that shouldn’t be made public otherwise.) 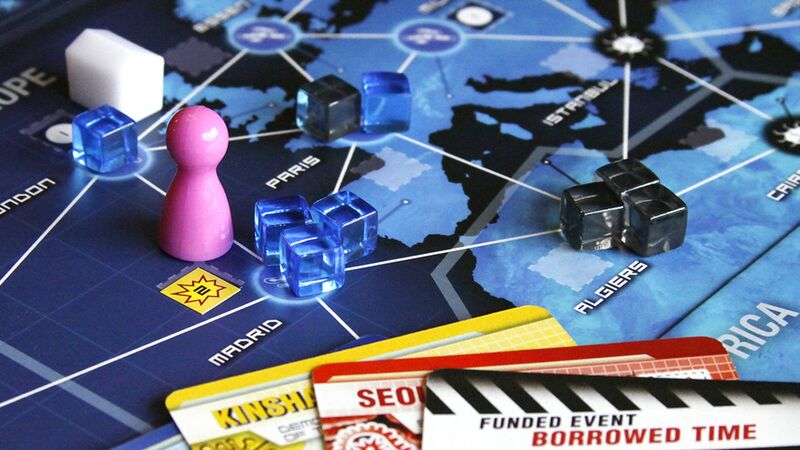 Joel remembered a similar experience with the cooperative game Pandemic Legacy, where the others in the game didn’t listen to his idea for how to save Africa. At the same time, one of the biggest values board games provide is the skills they build in helping us to think through real-life scenarios, by analogy. For instance, the economic engines of many Euro games (e.g. Navegador) explicitly encourage players to think of what’s being comparatively undervalued in the market the game introduces, another real-life skill. If the value of the game comes from how it affects how we see the rest of the world, we should be cautious about letting games do so in a negative way. To close, in the spirit of the Dice Tower’s Top Ten lists, I’d like to offer ten pieces of advice on making board gaming spiritually uplifting. These are collected from my own experience, Ashlee and Joel’s, and a few podcasts by the Dice Tower folks on this very topic, under the natural name, The Dice Steeple. Feeling addicted to board gaming in general? Try to see it as a reward for getting your other work done. Avoid seeing other people only as potential board game players. It’s demeaning, and your disappointment shows when they aren’t interested in playing. Know your audience. Following Romans 14, if you think a game will make someone in your group uncomfortable in a bad way, find another game. Online board games can be a good opportunity to spend time playing with friends who aren’t nearby, but can also be simply a video game in disguise. Be extra careful around going overboard with those. Sometimes small changes to games can make them less frustrating and more enjoyable. One set of friends was frustrated with how easily one could see what routes someone was going for in Ticket to Ride and block them. I’ve found that using the 1910 expansion to the game increases the variety of routes and makes it harder to predict and block. It’s okay not to finish a game. Sometimes it’s riling up emotions in the wrong way or it wasn’t really a great fit for the players you’re playing with in the first place. It’s also okay to play the same set of games again. Some of us who read a lot about new games frequently want to show off something new, but this can lead us to underestimate the burden on others of learning new games. Learn to recognize the social backgrounds and assumptions that people bring into the game, and if needed, establish house rules. For instance, someone might think that it’s okay to straight-up lie about their plans and goals in a strategy game, and it’s important to see that as a difference in culture and expectations rather than some dark mark on their soul. Be aware of how your board game habits are affecting others in your life. For instance, if your spouse is shouldering parental responsibilities so you can go play board games, find a way to make it up to them. Bring your whole self to the table. Many people are more interested in getting to know you through the game, rather than simply interacting with you through the game. This is Ashlee’s favorite board game picture. 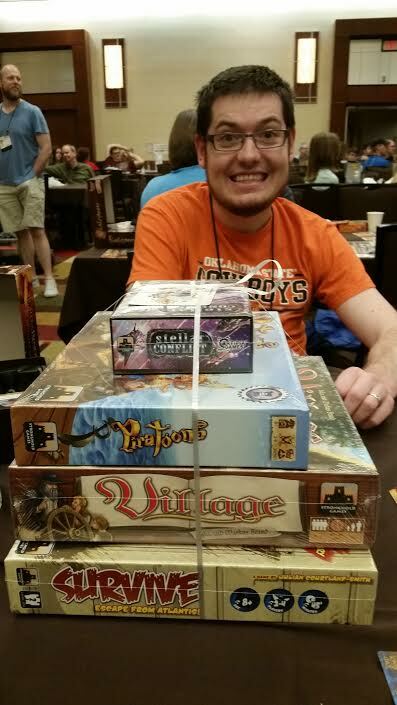 They won four games in a raffle at Board Game Geek Con Spring. They’d already gotten two free each with registration. Joel was giddy. Thank you so much for this wonderful article. I will follow you right away. We are starting a tabletop club and our biggest concern was if it was ok to put so much time on it since we are both busy Christians. We have been praying and asking God for guidance because we saw that a lot of people were gathering to come to the club and it was a wonderful opportunity to get to know them and eventually talk to them about Jesus. This has been a major blessing for us. What do you think about board games that have plastic pieces as human or animal shapes? The Second commandment part about idols?